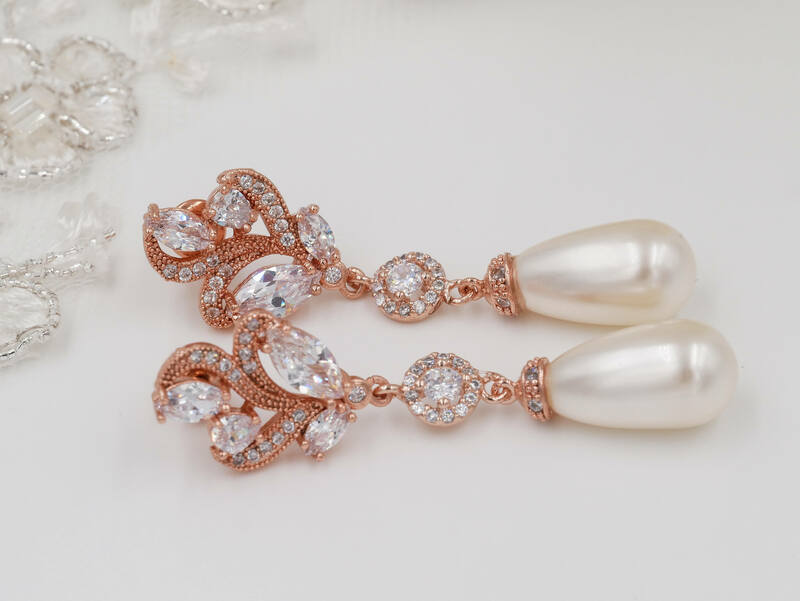 Rose gold or silver crystal pearl drop earrings. 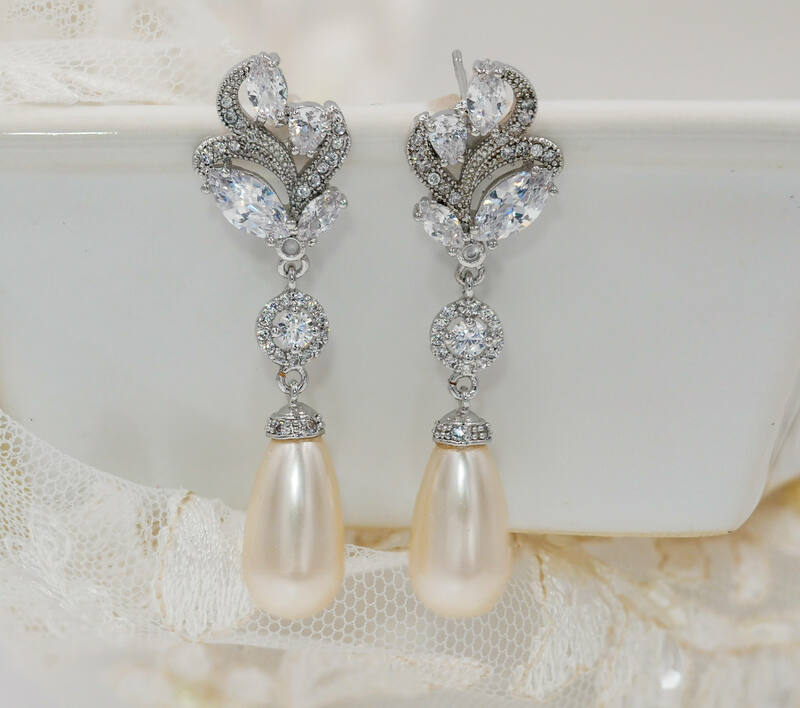 These earrings make for truly stunning bridal or prom earrings, and match your outfit made with any colour Swarovski pearl colour and sparkling cubic zirconia. 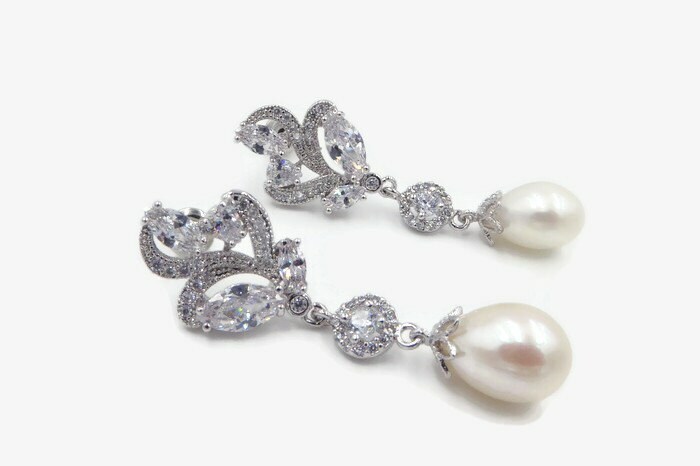 Freshwater pearl available only in Ivory. 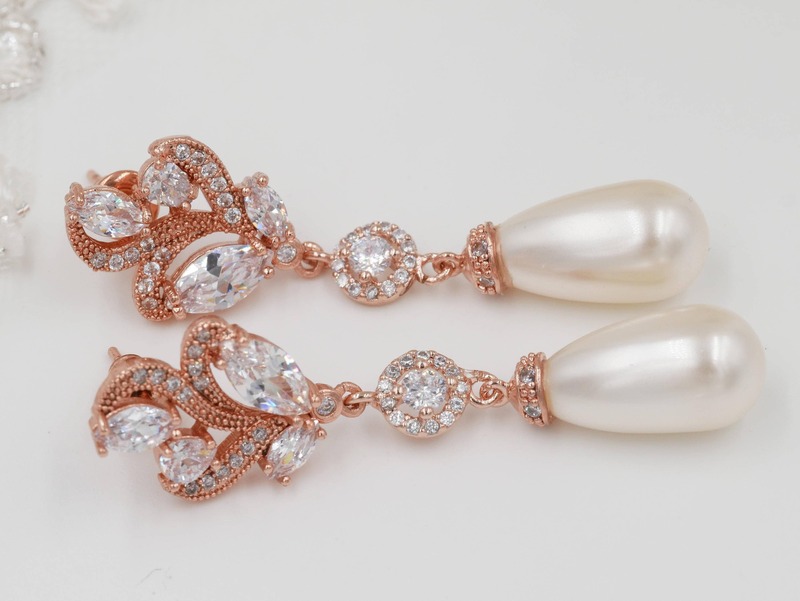 Swarovski Pearl in cream, creamrose, Rosaline pink, white, peach, mint green (jade), navy blue, rose gold, gold. 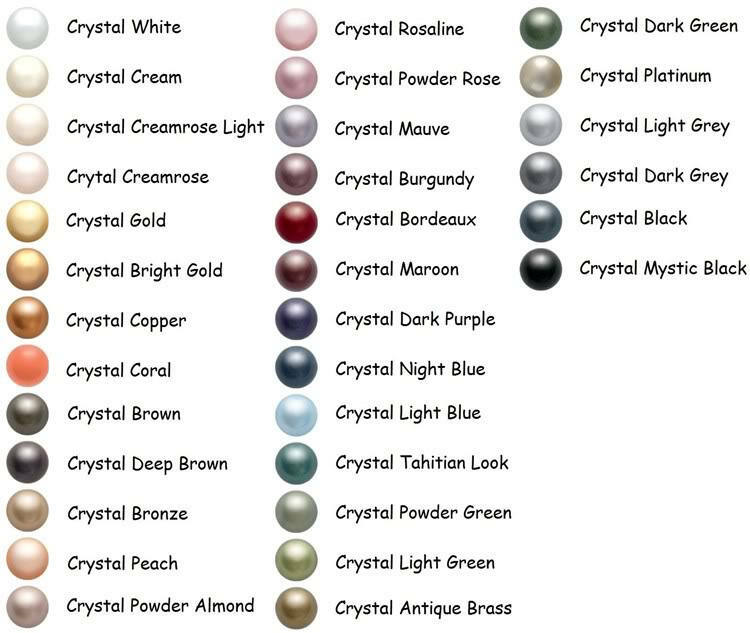 Some other Swarovski Pearl colours available -please request custom colour and send message. 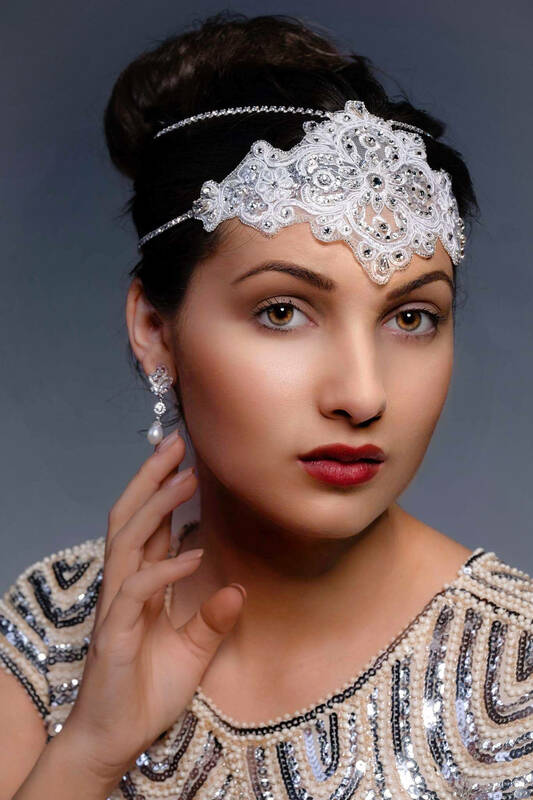 Picture one shows the Swarovski pearl, the other pictures are the freshwater pearls and the model wears the freshwater pearls. 💍 Matching pendant drop necklace also available from the drop down menu to choose as a set. 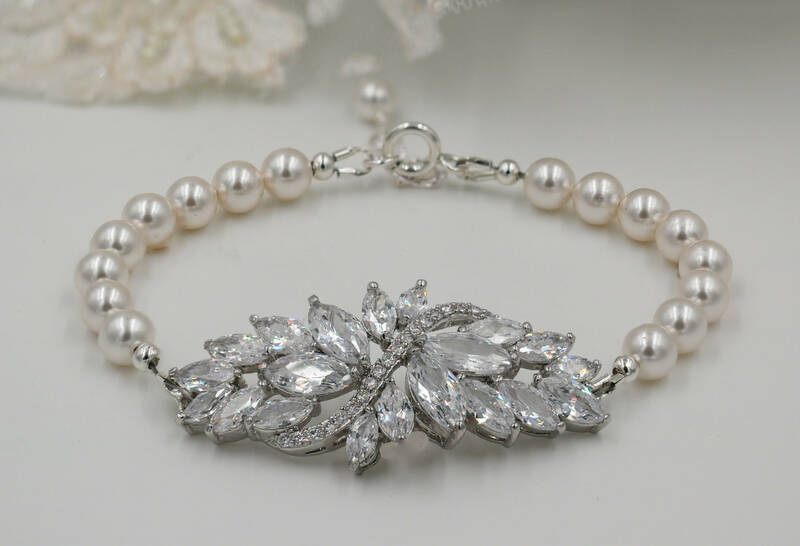 💍Matching bracelet available from the drop down menu and choose full set if you would like pendant drop necklace, earrings and bracelet. 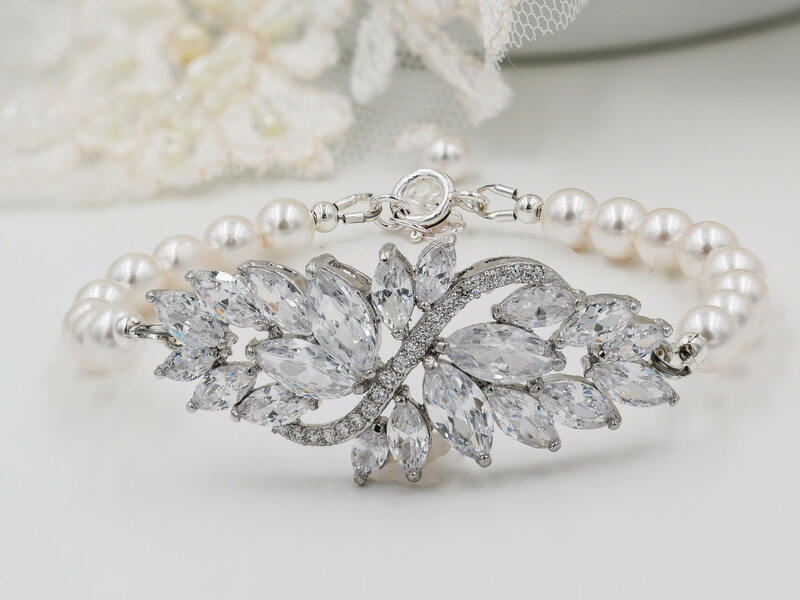 The pendant hangs from a diamond cut sterling silver chain or a rose gold filled chain.